Your kids are out the door after a summer of chaos. The house is suddenly quiet and you find something very new and novel — time on your hands! Ah, this is what we’ve secretly been envying our single, kid-free gal-pals all these years — time for yourself. So, now that you got it, what are you going to do with it? We all react differently once the kids have grown and the nest is empty. But rather than sit and miss them, take your spouse (or best friend) and TRAVEL! Yes, pick a destination on your bucket list, update your passport, contact your favorite travel consultant (that’s me), and just GO! You’ll gain several things. First, you will realize in short order that life isn’t winding down. In fact, it’s gearing up. Second, the opportunity to reconnect with your spouse is truly revivving, and you’ll wonder why you waited this long to take a special vacation, just the two of you. And finally, you’ll remember that there’s a whole, big world out there that you really want to explore. So that being said, where should you go? Top of my list is Bora Bora in Tahiti because everyone wants to go there at least once in a lifetime, and no one wants to go with kids in tow. This is the destination with those lovely over-water bungalows. And YES the water is truly that beautiful. If Bora Bora is out of budget for now, I’d recommend maybe an adults-only all-inclusive resort in Mexico, Jamaica, St. Lucia, or Punta Cana. I say adults-only because I’m betting now that your kids aren’t with you, you really don’t feel like hearing other people’s kids screaming at the pool. Plus, there are some excellent options with very good dining and room amenities, spas and golf. Or maybe this is the time to finally explore Europe. Consider a Mediterranean cruise or a Greece Island Hopper for travel mid Spring through early Fall. Mild year-round is Italy, and a fun way to see this country is a three city itinerary (Rome + Florence + Venice) with high speed rail connecting the cities. If you can’t pull off a real vacation, consider just a weekend getaway to that cool, local luxury resort that’s within easy driving distance. Bottom line, get out of the house and just go! **photo courtesy Now Resorts located in the Caribbean & Mexico. 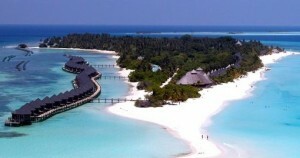 Located along the equator in the Indian Ocean lies the beautiful island country of Maldives. This archipelago is made up of 1,120 low lying coral islands southwest of Sri Lanka. 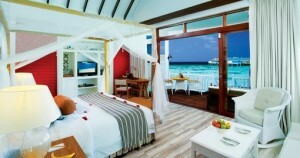 You’ll find some truly breathtaking resorts in the Maldives offering over-water and beachfront bungalows. Resorts range from moderate up to the most extravagant (and celebrated) of luxury beach resorts. Prices for flights from the US and accommodations for 7 nights with breakfast will start at around $10,000 for two in a four star resort. 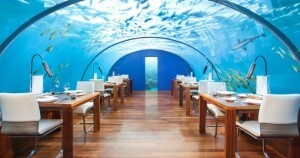 The Maldives is a haven for water sports enthusiasts who enjoy scuba, snorkeling, windsurfing, sailing, and fishing. The idyllic setting is perfect for a honeymoon or anniversary celebration. The trip will take you on the other side of the globe, so travel time is long. Plan on a minimum of 10 nights away from home (for a one week stay). For a longer stay, you can island hop to experience two (or more) island stays. You can break up the travel time with an overnight or two en route. Depending on your route and airline, that could be in Abu Dhabi, Frankfurt, or London for example. And, if you have more time to spare you can consider extending your stay to another nearby country such as Thailand, India or Sri Lanka. While Maldives is a year round tropical destination, rainy season occurs May through August. 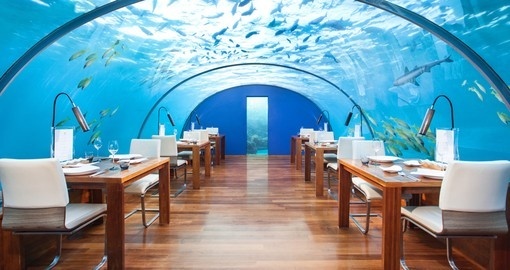 Contact us at Expert Family Travel at 972-625-6200 to get the planning started on your Maldives vacation. Or you can fill out a travel request form. ~~Happy Travels! ~~ Cindy Grant, travel consultant at Expert Family Travel. Summer is just around the corner, and Europe is proving to be a popular destination this year. There’s more than one way to experience Europe based on your energy level, interests, budget, and length of stay. Here’s an easy way to break down your options. City Stay – Stay in one hotel, one city for the duration of your stay. If you are ambitious you can book several day tours to see sites, museums, and culture. Or, skip the pre-booked tours and just grab a guidebook for a more spontaneous style. A City Stay is generally the best option for a shorter trip, tighter budget, or if you are traveling with young children. Escorted Tour – Maximize your time and experience the most. On an escorted tour, you are traveling with a group with a guide and a driver on a coach bus. This leaves the driving and details to the pros and you can enjoy more while worrying less. The pace varies based on the tour, and accommodations range from 3 star to 5 star depending on the tour company. Most have minimum ages and are not suitable for younger children, but some (such as Adventures by Disney) specialize in families. Itinerary by Rail – Travel independently and stay in multiple cities, connected by rail to get from point to point. Some itineraries are ideal for rail, such as Italy’s Rome – Florence – Venice, or Switzerland’s Zurich – Lucerne – Geneva. 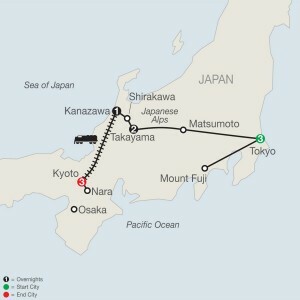 Self Drive – A multi-stop itinerary combined with a car rental. This is great for certain destinations such as Ireland, Scotland, or Southern Spain. River Cruise – Combines cultural immersion, simple “unpack once” style of travel, and an ever-changing landscape. River cruises get to those hard-to-reach places that large cruise ships can’t touch. Not well suited for children. Mediterranean Cruise – A mainstream cruise line itinerary hitting several popular ports of call. Some mid-size cruise lines have more intense itineraries for a cultural or culinary focus. Depending on the cruise line selected, this can be ideal for families, and is always ideal for couples and small adult groups. Arrive into your departure port at least a day early to avoid disappointment if your flight is delayed. Island Hopper – The best way to experience Greece. Combine one, two, three or more islands with a stay in Athens, with flights or ferries connecting the dots. Summer is high season in Greece, so book early or prepare to be a bit flexible on dates or resort choices. Riviera Maya, located south of Cancun along Mexico’s Caribbean coast just keeps getting better and better. Existing resorts have been making enhancements and actively refurbishing their buildings. And new properties have recently opened or are opening later this year. This means more options are available than ever before, with some specializing in families and family groups while others are exclusively adults-only. Active travelers, rejoice. Brand new Hotel Xcaret Mexico opened this past Christmas and is already receiving rave reviews. This 900 room resort is located next to beautiful Xcaret Park, and is a 4+ star all-inclusive for all ages. Entrance and transportation is included to the “X” Parks Xcaret, Xel-Ha, Xoximilco, Xenses, Xplor, Xplor Fuego and Xichen, as part of the complete ALL-FUN INCLUSIVE program. There are plenty of dining options, and the property exudes charm and style. Luxury adults only resort Unico 20 87 Riviera Maya has been open for just about a year, and already it is trending as the new favorite among adult couples and adult friend groups. All-inclusive dining is elevated to a new level, and several tours and spa treatments are included in your stay (“almost free” with a 20% service fee). Palace Resorts has reopened its Playacar Palace following an extensive $14 million renovation. Enhancements can be seen in the guestrooms, lobby, restaurants, and bars. This 201 room property sits on the beach in downtown Playa del Carmen and is a vacation favorite among returning clients. Azul Fives by Karisma has just opened an adults-only building with 53 units (one- two- and three-bedroom residences). This all-inclusive property is just north of downtown Playa del Carmen and is popular with extended families and for destination weddings. Photo: Azul Five Resort’s new adults only tower. Now, I got to tell you, there’s no shortage of hotel rooms in the Riviera Maya area (well, except maybe during Christmas Week but that’s another story). However, not all resorts are created equal. 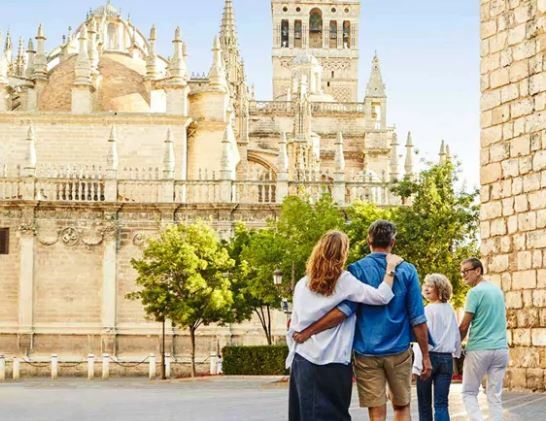 To help navigate through all the choices so that you are sure to stay at a resort that fits YOU be sure to contact the friendly folks at Expert Family Travel to plan your next vacation. The southern tip of the Baja Peninsula is where the Gulf of California meets the Pacific. Los Cabos is actually two towns. Cabo San Lucas has a vibrant downtown and nightlife, a marina for fishing and snorkeling excursions, and views of the famous El Arco, an arched rock formation just off the coast. 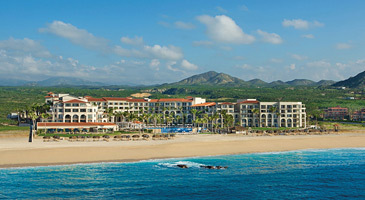 San Jose del Cabo is a sleepy and charming town and home to several luxury resorts and hotels. In between the two is the Corridor, which is a beach resort and golf area. Overall the area is dessert, and you’ll enjoy the beauty of the sparkling blue waters and the majestic mountain backdrop. With mild weather and whale watching, winter is Cabo’s high season. There’s plenty to do in the area, including golf, sports fishing, seasonal whale watching, zip lining, and even camel rides. Don’t Miss Outback & Camel Safari. In small groups, you’ll head off-road in Unimog trucks that take you deep into the heart of the Baja Outback on a voyage of discovery and wonder. Enjoy the spectacular views of the ocean and desert from atop a camel, and, in the winter, keep an eye out for whales swimming past offshore. Best weather is November thru May. Passports are required for travel to Mexico. ~Happy travels! 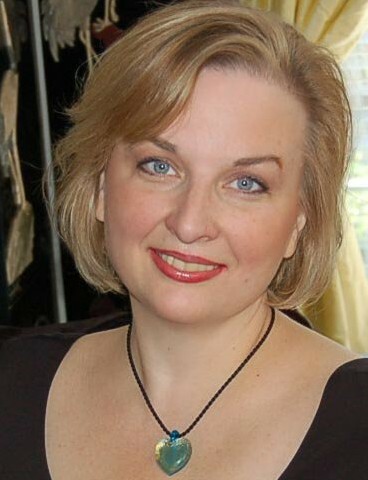 Cindy Grant, travel consultant at Expert Family Travel. 972-625-6200. 10 day escorted tour Tokyo to Kyoto starting at $4179 per person (based on double occupancy/airfare not included. Meet your Tour Director and traveling companions prior to morning sightseeing in Tokyo. Your tour takes you to the MEIJI SHRINE, a magnificent 20th-century Shinto monument set in a man-made forest, followed by a drive to see the Imperial Palace. Next, visit an artist’s studio and learn to write like a local during a CALLIGRAPHY CLASS with a master calligrapher. Here, you’ll also have the opportunity to try on a traditional KIMONO and partake in a Globus Local Favorite TRADITIONAL TEA CEREMONY, a wonderfully choreographed ritual of preparing and serving Japanese green tea. Last stop is the ASAKUSA KANNON TEMPLE and the NAKAMISE SHOPPING ARCADE. The balance of the afternoon is at leisure. Tonight, join your traveling companions at a welcome dinner hosted by your Tour Director. Today begins with a visit to the MORNING MARKET, where farmers display locally grown fruits, vegetables, and flowers. Then, visit TAKAYAMA JINYA, a former government office during the Edo Period from 1692-1868. This well-preserved building is a national historic site and the only remaining building of its kind in Japan. Continue on to the San-Machi Suji historic district—famous for lacquerware shops and sake breweries, and identified by the sugidama, balls made of cedar branches that hang over the entrances. Stop at one of the breweries for a Globus Local Favorite SAKE TASTING. The balance of the day is at leisure, providing you time to explore the narrow streets where merchants buy and sell as they have for 300 years. This morning, enjoy a drive through the mountainous Shokawa Valley to Shirakawa. This remote region of Japan is home to several UNESCO World Heritage Sites due to the unique GASSHO-ZUKURI-style (joined hands) thatched houses that can be found only here. Continue to the scenic town of Kanazawa, situated between the mountains and the Sea of Japan and once the country’s richest region. Your Tour Director leads you on a tour of one of Japan’s greatest gardens, KENROKU-EN, the “Garden of Six Qualities,” dating from the 1670s. Afterward, partake in a GOLD LEAF CLASS, where you learn more about this ancient traditional craft and make your own bento box souvenir. Your included dinner tonight is at your choice of one of three restaurants at your hotel. This morning, board the THUNDERBIRD EXPRESS TRAIN for your journey to Kyoto. Upon arrival, stop at SANJUSANGENDO TEMPLE, famous for its 1,001 statues of Kannon, the Buddhist goddess of mercy. Flanking the main statue are 1,000 more life-sized statues, covered in gold leaf, with 40 arms said to have the power to save 25 worlds. After lunch, visit the FUSHIMI INARI SHRINE, renowned for the thousands of brightly colored Torii Gates. Afterward, continue on to the Higashiyama District to visit KIYOMIZU TEMPLE, the “Pure Water Temple,” with stunning views over Kyoto. Along the way, walk through the busy streets, where shops and restaurants have been catering to pilgrims for centuries. This evening, you have the option (additional expense) to stay in a traditional Japanese ryokan. Immerse yourself in the Japanese culture and hospitality at a ryokan (Japanese inn). Your ryokan, Gion Hatanaka, features traditional touches—tatami mat floors, a thin sleeping mattress on the floor, and the chance to experience a Japanese-style bath—as well as the modern convenience of a private bathroom. 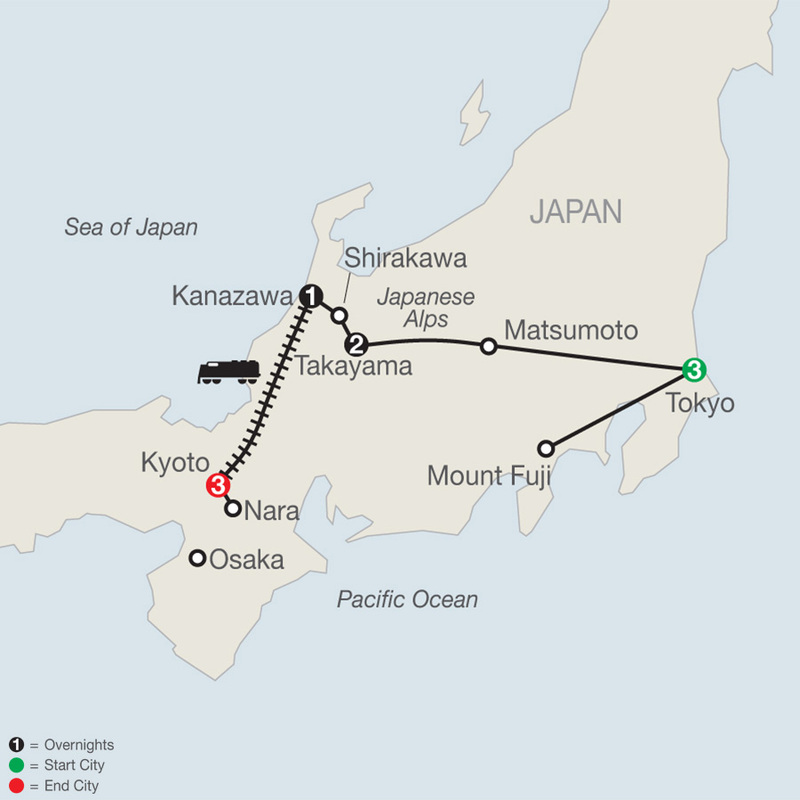 Included: transfers to/from ryokan from/to hotel in Kyoto; traditional Japanese dinner and breakfast. This morning starts with a visit to stunning Kinkakuji, the TEMPLE OF THE GOLD PAVILION. Next, visit YUZEN HANDMADE CORNER to learn about the Yuzen dyeing technique used to decorate kimonos by painting dye directly on the cloth. You will be invited to participate in making your own souvenir using this traditional method. For lunch, participate in a special Globus Local Favorite JAPANESE COOKING CLASS. Under the instruction of a local chef you will learn how to make miso soup, teriyaki chicken, and makizushi, more commonly known as a sushi roll. The afternoon is at your leisure to explore this fascinating city on your own. This morning, take an excursion to NARA, the oldest capital of Japan. Here, visit two separate UNESCO World Heritage Sites. First, at Nara Park, is TODAIJI TEMPLE, built in 752 AD and one of Japan’s most famous significant temples. Rebuilt after a fire in 1692, the temple is only two-thirds its original size, yet remains the world’s largest wooden building. The Daibutsu (Giant Buddha) inside the main hall is made of copper and bronze, and is the largest in all of Japan, weighing in at 250 tons and standing some 49 feet tall! Nearby is KASUGA SHRINE, known for its 3,000 stone and bronze lanterns. Return to Kyoto for some leisure time. Tonight, your Tour Director hosts a farewell dinner to celebrate your discovery of Japan. There’s no other place in this world that evokes the imagery and senses that Tahiti does. This is the land of Polynesian beauty, immortalized by Gauguin, and revised by Hollywood. Air perfumed by vanilla trees and tropical flowers, serene lagoons with crystalline water; this is paradise. Here is the perfect place to do everything or nothing at all. All of the Tahitian islands beyond Papeete lend themselves to romance. Overwater bungalows with their glass bottom floors are a favorite among honeymoon couples. Garden bungalows with private plunge pools offer seclusion as well. Mix and match with a multiple island itinerary. Looking for that overwater bungalow experience but are short on time? El Dorado Maroma Resort, located in Riviera Maya just south of Cancun, offers Palafitos Overwater Bungalows in an adults only all-inclusive, luxury setting. What a fun way to celebrate an anniversary or to relax over an extended weekend. Prices start at around $1400/night for two adults (meals/drinks included, 3 night stay minimum). Today I thought I’d share a little “Jamaica Mon” with you. This beautiful Caribbean island offers lush green mountain landscapes, white sand beaches, crystal blue water, and a setting for romance and relaxation. Here’s the home of reggae music and delicious jerk chicken. Jamaica has several resort areas within easy distance from the Montego Bay airport with accommodations ranging from basic to ultra luxury. And most resorts, whether family friendly or adults only, are all-inclusive. Montego Bay - Convenient to the airport, this beachy-urban area has five golf courses and multiple resorts perfect for your short getaway. Negril - charming resort area set on a world famous beach. Enjoy the stunning sunsets and ambiance. Ocho Rios - near waterfalls, mountains, and fern gullies. Ocho Rios sits east of Montego Bay. Zoetry Montego Bay - luxury boutique all-inclusive. Perfect for the annversary couple looking for privacy and pampering. Royalton Negril Resort - family friendly resort in gorgeous Negril offering something for everyone. This resort is ideal for a family reunion or destination wedding. Nonstop flights to Montego Bay from many US gateways including DFW, Miami, Charlotte, Houston, Atlanta. Ask about ClubMoBay service to shorten your Immigration/Customs arrival processing time. Happy travels! ~Cindy Grant, Expert Family Travel. Contact us at 972-625-6200 to plan your next vacation. Serving the Dallas metro area & with clients across the US/Canada. So many places, so little time! Not sure where to vacation this summer? Here are some ideas to get you thinking about your next trip. Cancun - With its sandy white beaches and turquoise blue water, the Hotel Zone is as popular as ever with resorts that just keep getting better. Frequent flights and short ride from the airport makes this a super-convenient beach destination. Riviera Maya/Playa del Carmen - located just south of Cancun, this resort area offers many resorts in all sizes and price points. Great choices here for families, groups, and couples. Playa Mujeres - located just north of Cancun’s Hotel Zone, this area offers the region’s newest resort developments. Resorts here are in the 4 to 5 star range. Or, take the ferry to Isla Mujeres where you’ll find a handful of boutique-sized resorts for couples and adult friend groups. Cozumel - an island destination known primarily for great diving and snorkeling spots. Located off the coast of Playa del Carmen with its own airport. Puerto Vallarta - on Mexico’s Pacific side, Puerto Vallarta and neighboring Riviera Nayarit sit on the calm, scenic Banderas Bay. The city is charming and worth an afternoon stroll or two, and there are great zip line opportunities too. Los Cabos - on the tip of the Baja Peninsula, where the Sea of Cortez meets the Pacific Ocean. This is scenic and desert (imagine Tuscon with a beach). Famous for the golf but I go for the margaritas. Looking for something a little different? These destinations may require more travel time but the end result is worth it. Ixtapa - this is a Pacific resort area set along a 16 mile stretch of sandy beaches and inlets. Nearby is the charming fishing village of Zihuatanejo with a handful of boutique beachfront hotels. Mazatlan - lively resort area with nightlife along Mexico’s Pacific coast. Manzanillo - a small Pacific coast resort with colonial charm and a laid back pace. Chetumal - for the adventure seeker looking for an unspoiled destination. On the Yucatan Peninsula, further south than Riviera Maya or Tulum. Getting here requires a connecting flight. Looking for a long weekend getaway? Mexico City is a fun possibility. Popular “must see” attractions include the Frida Kahlo Museum, the great pyramid of Tenochtitlan (you can experience this by hot air balloon if you are daring), National Museum of Anthropology and the city historic center. Stay in a nice 5 star hotel, and enjoy the city’s fine dining options. If you have a core group of friends or family a vacation is a great way to get spend some time together. And if your family is large and spread across the country, meeting at a vacation location can make things easy and stress free (not to mention fun and adventurous). All-inclusive beach resorts and cruises in Mexico or the Caribbean are the most common reunion groups I see. But you can also consider escorted tour-type itineraries with your group. Or maybe for friends with a common interest something along the lines of an Irish Pub Crawl Tour, an Eco-Tour in Costa Rica, or even a chartered yacht in Tahiti. So, how to get the ball rolling. You’ll definitely want to work with a travel agent since coordinating everyone’s flights and accommodations can be daunting. But first, get together with everyone involved to discuss the basics. What time of the year would you be traveling? It is best to plan your trip 6 to 10 months in advance. Are there any date restrictions to consider? What type of trip would you like? Beach, historical sightseeing, Disney parks, cruise, once-in-a-lifetime dream trip, high energy adventure, etc. Will everyone have passports in time for travel (if applicable)? Are there any special considerations? For example, Aunt Libby has mobility issues and Cousin Maxwell has a sun allergy. Appoint one person as Group Leader to be the primary point of contact with the travel agent. The Group Leader will want to have a good idea of headcount when talking to the travel agent, along with ages of kids at time of travel. Your travel agent and Group Leader together will narrow down the best options for the group, and then once the destination and resort are selected the different families can contact your travel agent to provide their details and payment. After travel arrangements are made, you can decide on any preplanned activities for your group. You’ll want to strike a balance between structured time together and free time. For example, plan a group hike excursion in Kauai (Hawaii). Or pre-book a snorkel catamaran tour in Cozumel while on your group cruise. 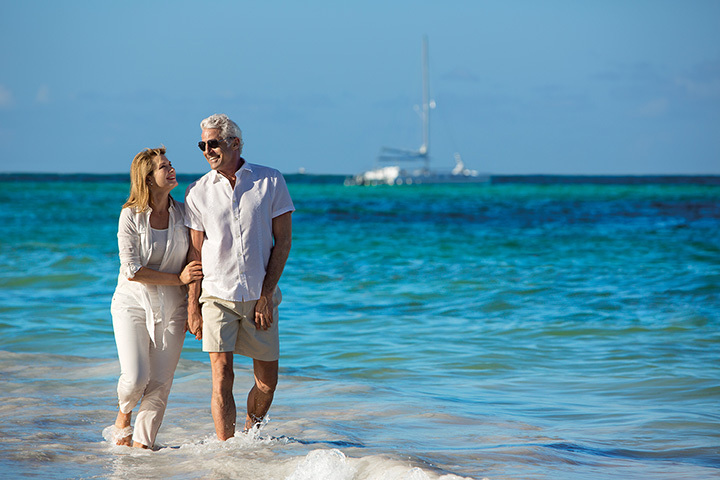 If the trip is for a special celebration, such as a milestone birthday or maybe your Grandparent’s 50th anniversary, your travel agent can assist you in arranging an event. Happy travels! ~Cindy Grant, Expert Family Travel. Contact us at 972-625-6200 to start planning your next group vacation. Serving the Dallas Texas metro area & clients across the US/Canada.